The typical cuisine of Provence and its many fine wines… Rosé of course, but red and white too! From typical Mediterranean ingredients to elaborate recipes, here’s a little tour of the local treasures – and you’ll come across them at the campsite restaurant and our mini market too! Olives don’t always come from Nyons (or Spain). The most delicious olives for your aperitifs and pizzas are grown right here in Provence! You will come across majestic olive groves throughout the region… The trees are sometimes hundreds of years old. You’ll find our famous Herbes de Provence – thyme, rosemary, oregano, tarragon, savory and basil – growing beside footpaths throughout the Var and South of France, along with chervil, sage, fennel and marjoram. There are probably some hidden along the campsite’s botanical footpath too! Garlic is obviously a major ingredient in Provencal cuisine and is used raw or cooked, especially for the traditional Aioli: a mayonnaise made with olive oil and garlic, mixed with an egg, served with fish or simply on a slice of bread. 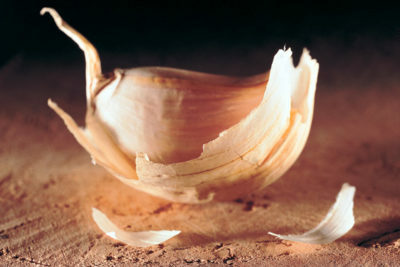 Garlic is also added to the rouille sauce served with our typical fish soup. Tapenade is one of Provence’s most typical recipes. 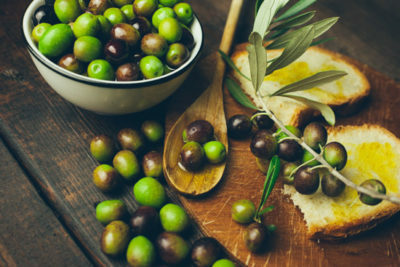 It is so popular that it now comes in all sorts of delicious shapes and forms, with the original crushed green olives replaced with sun-dried tomatoes, artichokes, or black olives. Have you ever tried a Tian? (the word originally means “dish” in Langue d’Oc dialect). This Mediterranean speciality is made with vegetables such as aubergines, courgettes and tomatoes, cooked with olives, grated cheese (or sometimes mozzarella) and of course thyme and olive oil. In Italy, Focaccia is widely used instead of bread, or served as an aperitif nibble. In Provence, it is also a filling lunch, ideal for picnics. A kind of salty bread or brioche according to the recipe, it is stuffed with a variety of ingredients such as onions, lardons, cheese, tomatoes, olives, etc. Marseille’s traditional Bouillabaisse is coveted by gourmets from the world over, keen to enjoy a taste of Provence in this surprising mix of fish and vegetables! Fishermen continue to make Bouillabaisse for lunch with their leftover fish. The smallest fish is used to make the accompanying soup! Soupe au Pistou is also one of our most acclaimed recipes and a cousin of Italy’s pesto, to which we have added a fabulous soup made with olive oil, basil, garlic, haricot beans and pasta… Simply succulent! On the eastern side of the Riviera, in Nice, you’ll find Pissaladière, a cousin of Italy’s pizza. 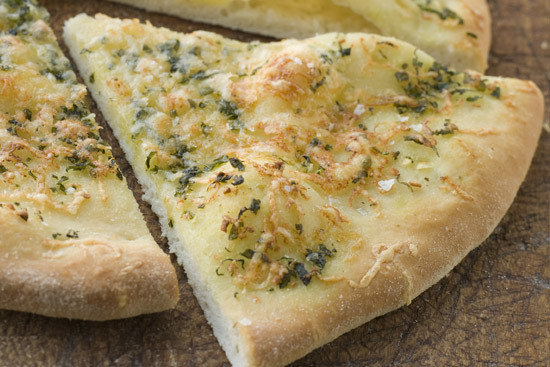 Made with white dough, it is topped with various ingredients including fried onions and a sardine and anchovy sauce, then sprinkled with Herbes de Provence or basil and – of course – local olives. It is truly delicious and a flagship Riviera recipe! 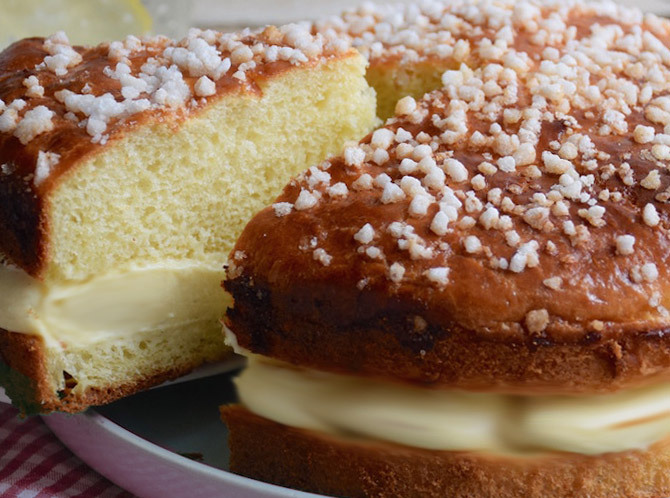 And of course, near the campsite in Saint-Tropez, you’ll find Provence’s most famous dessert, the Tarte Tropézienne: a sponge cake sprinkled with sugar and stuffed with a mixture of confectioner’s custard and butter cream. You’ll need to do some serious sport at the campsite if you over-indulge!